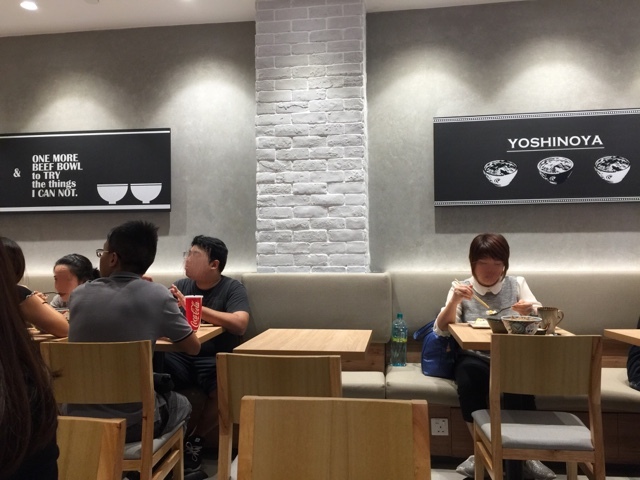 Fast food Yoshinoya revamped into Japanese restaurant at Junction 8! 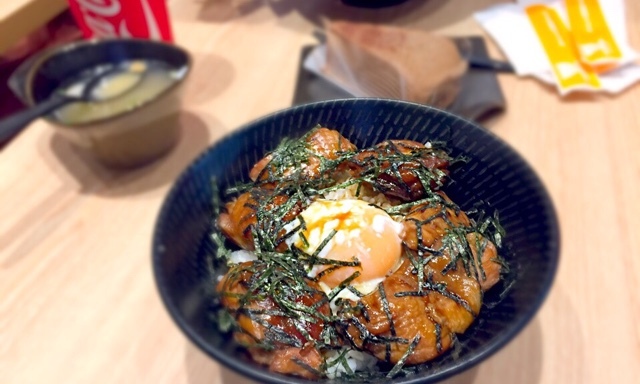 I was shopping at Junction 8 when I saw a new Japanese restaurant! I walked closer to the restaurant and omg! 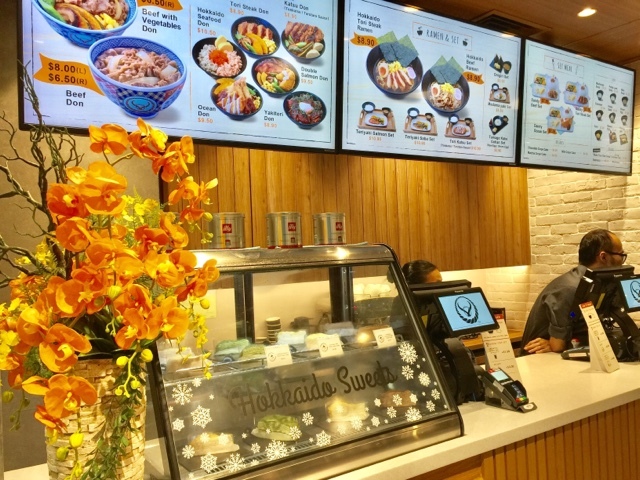 It was none other than Yoshinoya rebirth, revamp or whatever you call it. The place was renovated and some of the food items looked so convincing as a Japanese restaurant food item. 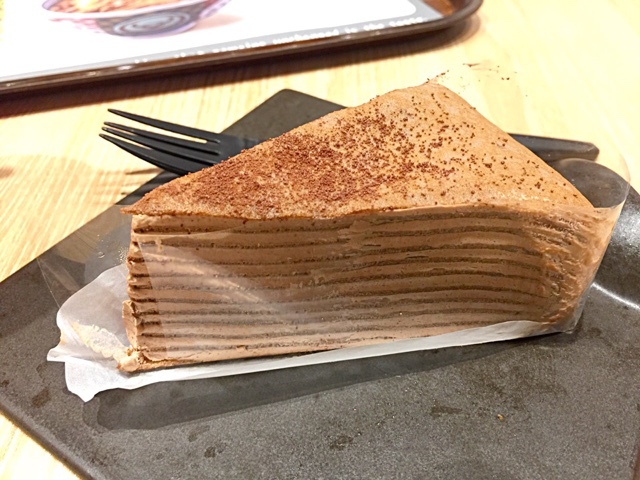 It even offers Hokkaido crepe cakes. Approaching the order counter, I requested for my usual beef with salmon combo but alas! It is not available at this Atas version. Disappointment was written all over my face as I could not register that it was not available. The cute girl assured me that the usual outlets will still have their usual combos but not the Junction 8 outlet as they have revamped their menu. "Aiyo, low class outlet has combo but high class one does not have..." I thought to myself. I took a discreet peek at what others were eating. How many of you also do that? Wow, the chicken thingy with the runny egg looked delicious. So I ordered - Yakidori Don. The price was very reasonable. 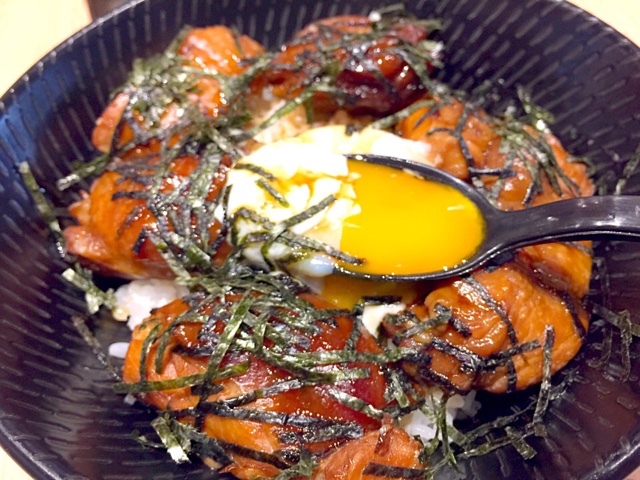 The Yakitori Don came with a generous serving of chicken marinated with a slightly sweet sauce. The sensation of mixing runny egg with almost anything was slurping good. If you are a Teriyaki chicken fan, you would love this! Look at the picture! 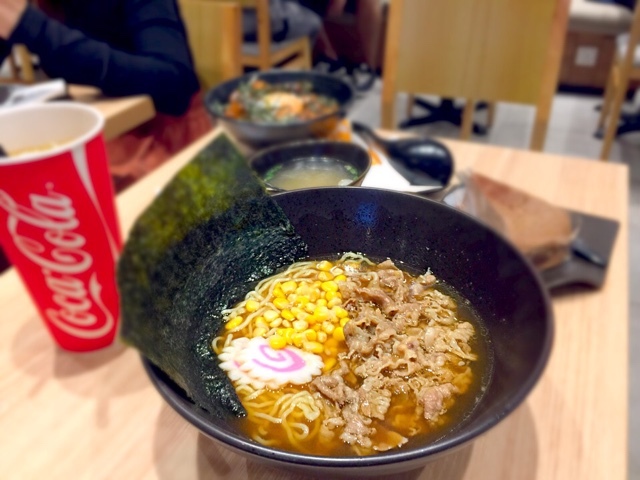 Spot what is missing in a usual ramen! After eating, I found myself staring at the menu board at the counter. Eh! Where is my egg? I had a brief internal debate if I should request for the missing egg or should I just forget it since I have already finished my Ramen. If I didn't, I would feel slightly sorry for myself. Sod it! "Excuse me, does the ramen come with an egg?" I asked the staff while showing him the picture. He was very determined to give me my egg and wow! No regrets for asking! 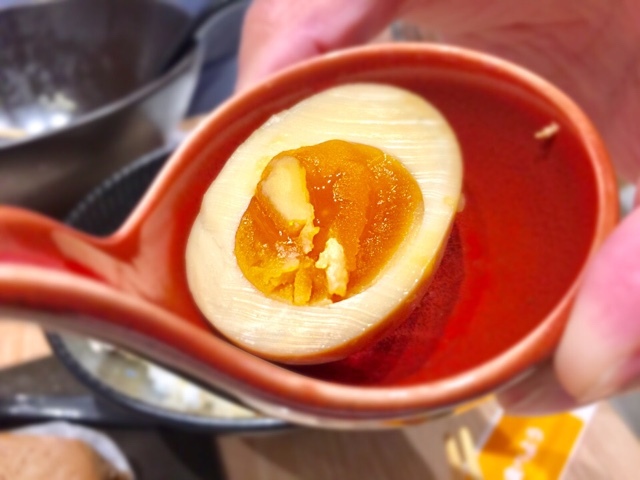 The egg yolk was soft and completely infused with the fragrance of Japanese Soya Sauce? Salty egg yolk is so sedup that I could lap it up on its own! The Chocolate Milk Crepe was a very decent dessert to compliment my Japanese meal. I was very impressed with the pricing and the idea of including a cake to sweeten the meal. The crepe was soft. The chocolate milk cream was not too jelat. For the price, it was definitely worth a try. Look at how inviting the counter has become! The staff would take your order, accept your money and give you a number. 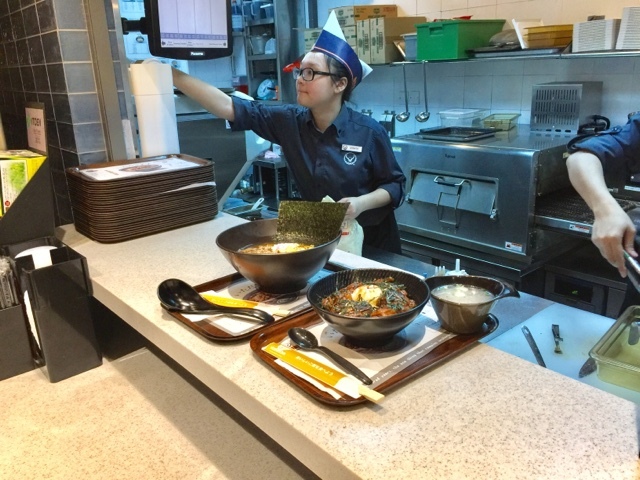 Once your number is flashed at the kitchen station whereby the kitchen staff would place the food ready to be served, you would have to collect your food. Up on my feet to collect my food! Modern and simple design with reasonably priced food items, the revamp definitely received my thumbs up! Please consider including my Beef and Salmon combo! Feel free to leave your comments for any cheap and good Japanese restaurants!